With fall finally making its appearance, a favorite subject is also making his. 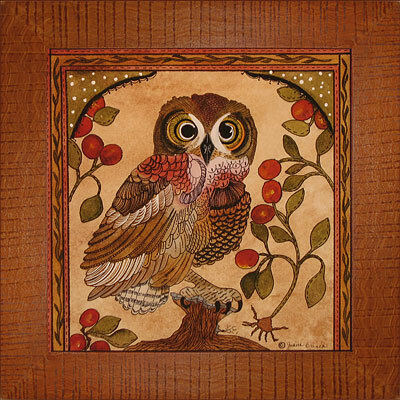 Hootenanny is dressed in rich, colorful plumage and is done in watercolor and inks in great detail. He is available as a giclée print on German rag watercolor paper, in a hand grained vinegar painted frame, under glass. Both the painting and back dust cover are signed by the artist.